Wireflow designed by Arik Levy. 2 Boxes / Totalvol. 0,5000 m3. A hanging lamp which reviews and updates the chandelier look through an exercise of simplification that explores its essence and enhances its outline with great delicacy and at the same time a strong formal presence. 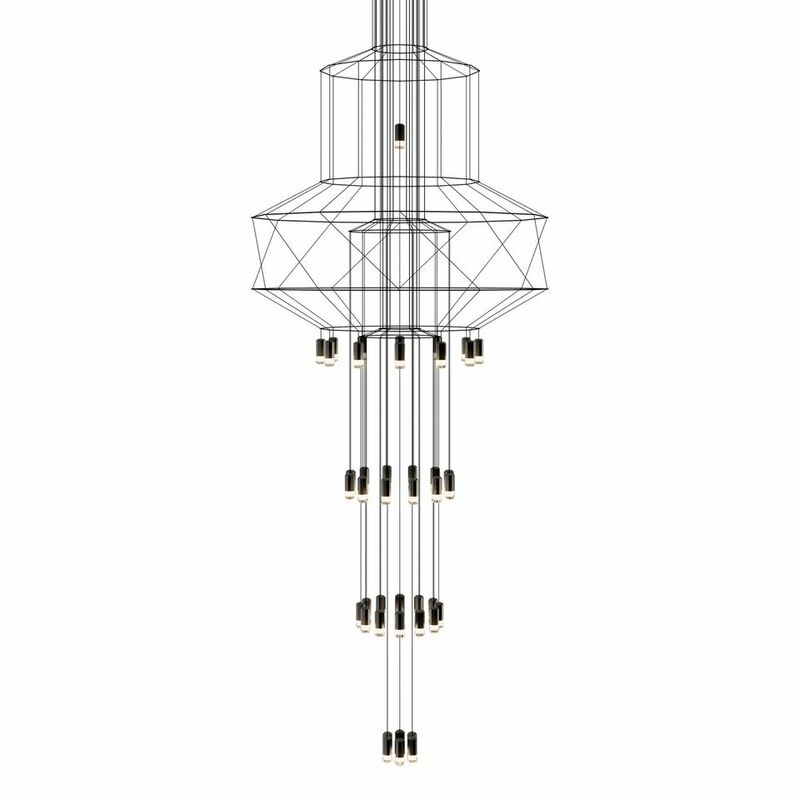 Its appearance, as a structure of fine cables finished with 43 4.5W LED terminals, discretely connects with classic chandelier models, taking this type of lamp to a new, groundbreaking and futuristic dimension. Employing CREA product configurator software, the design can be modified to adapt to your specific project requirements. Note: Driver included Constant Current 350 mA.